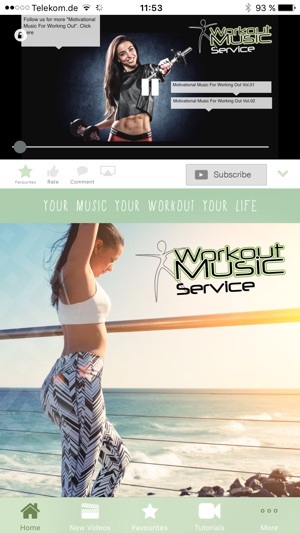 The best workout app with workout music videos and workout music playlists updated weekly. Watch tutorials, tag your favorites, create your individual playlist and start your activity with the best training music for your running, cardio, cycling and gym workout. Super Musik für Workouts zu Hause oder im Fitnessstudio. Daumen hoch! Wow - perfekte App !! Suuuuper App ich bin begeistert! !